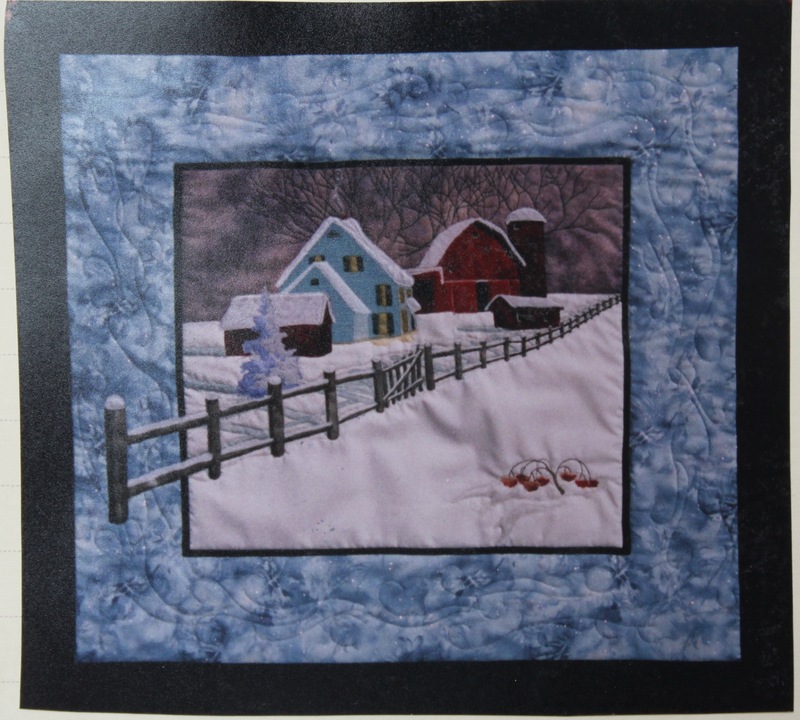 I recently entered a Canadian Quilters Association winter quilt challenge. I sent in pics of a quilt that my mother now has ….. I won 3rd place! 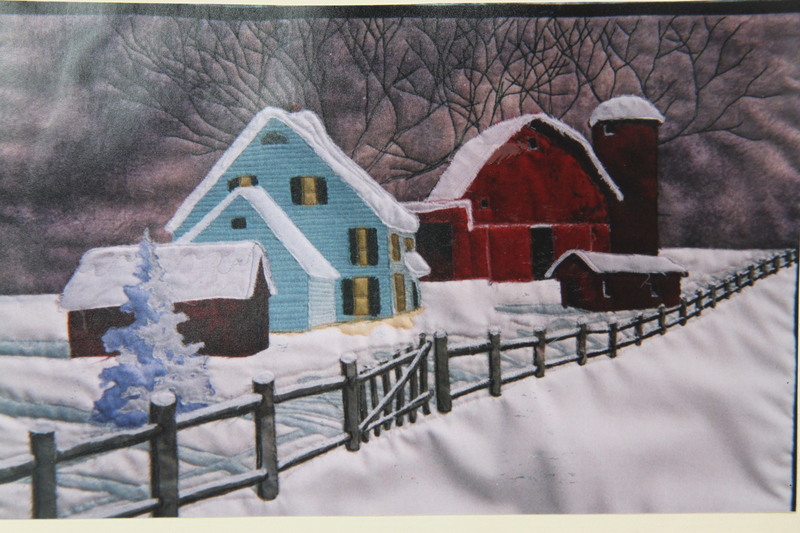 The winning quilts will be in the summer issue of the Canadian Quilter magazine. This is one of my earlier quilts so it is nice to see it get a prize! I am also starting to teach classes at a fabric shop nearby. If any of you are on PEI, you can contact Bargain Fabrics in Bedeque for details. 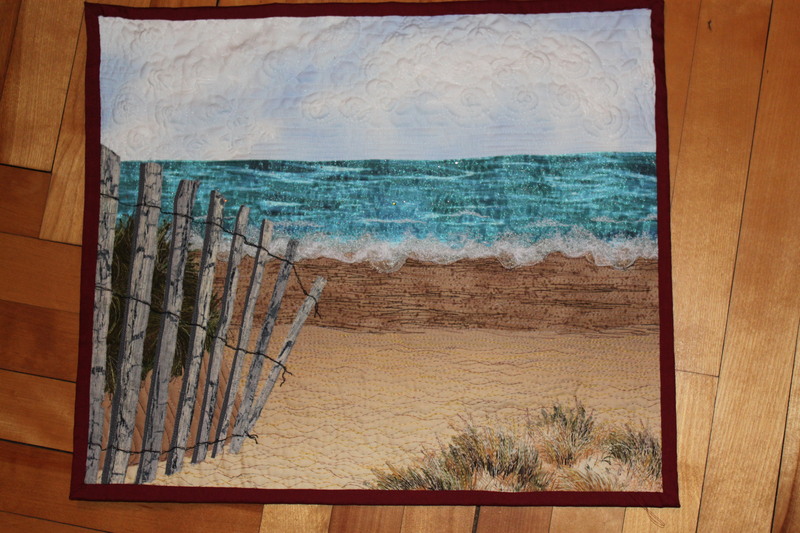 This first class will be my Drift Fence on Cavendish Beach quilt and will take place on April 13. Contact the store for details. My ‘Reflections’ quilt (the Cadillac) should be arriving home any moment, as I type this, I am watching out the windows for the FedEx truck. The photo shoot went well, and it should be in the August issue of The Quilt Life magazine as planned. Cool Carol! You’re an amazing artist! Hugs to you – G.
Thanks, Glenda! Hugs back……great pics in your latest update! Congratulations on your win and being published. Reflections is an amazing quilt. I love seeing your process of making art quilts. Thanks! I really enjoy the process and teaching it as well…. :) I hope to inspire others to see what they can accomplish. Thanks, Joyce! I miss you guys too….. Thanks! 🙂 I totally agree with your ‘Art is like breathing’…you certainly seem to be having fun! Congrats on your win! Congratulations! Those quilts are gorgeous!